If you have asthma, there’s one thing you can be sure of – you’re definitely not alone. Statistics compiled by the American Academy of Allergy, Asthma & Immunology show nearly 34.1 million Americans are diagnosed with asthma by an allergist or other health professional during their lifetime and more than 11 million Americans suffer an asthma attack each year. Unfortunately, many patients are unaware that they have asthma and may be undiagnosed, making these numbers even higher. Approximately 70 percent of asthma patients also have allergies. About a third of America’s asthma sufferers are under 18 years of age and asthma rates have increased sharply among urban dwellers over the past two decades. It’s the leading cause of absenteeism from school. An asthma specialist can appropriately diagnose your asthma using several tests. The most important is the clinical judgment and experience of the specialist. Testing for asthma also includes peak flow measurement or using a more detailed measure called pulmonary function testing, lung function testing or spirometry. Another novel diagnostic test used at Allergy & Asthma Specialists of North Florida is measurement of exhaled nitric oxide (eNO). This is a non-invasive measure of airway inflammation. Identifying your triggers by allergy testing is of utmost importance since the majority of all asthma is caused by allergy. Once specific allergy triggers are identified, your allergy specialist can help you regain control of your environment by developing a plan to reduce exposure to those triggers. Quick-relief asthma treatments are designed to stop airway constriction and typically are inhalers, though some come in pill form. Preventative asthma treatments focus on reducing inflammation of the airways, improving overall lung function and helping to ward off asthma symptoms and asthma attacks. Omalizumab (Xolair) is a novel treatment for asthma which blocks an important mediator of allergic asthma called IgE and may be used by your allergy specialist if you have severe asthma to minimize asthma attacks. Allergy shots (immunotherapy) provide long-term control of allergic triggers and may prevent the development and worsening of asthma in children. The following are common questions about asthma and treatment. Asthma is a chronic disease that inflames and narrows the airways causing wheezing, shortness of breath, tightening in the chest and coughing. There are two main causes of asthma: airway constriction and airway inflammation. Constriction is a tightening of the muscles around the airways of the lungs that makes breathing difficult. Inflammation is the constant swelling of the airways themselves. This swelling worsens when an asthma patient comes into contact with a certain irritant or experiences an asthma attack. Yes, there actually are several different types of asthma. While the symptoms of asthma may be the same among the various types, each may require different asthma treatments. Allergic asthma is brought on by an allergic reaction to a trigger such as dust mites, pet dander, pollen, and some over-the-counter medications such as aspirin. Non-allergic asthma is exacerbated primarily by air pollutants such as cigarette smoke, wood smoke and substances with strong scents such as perfumes, room deodorizers, cleaning products and fresh paint. Sudden dips in temperatures and exercise also can trigger nonallergic and exercise induced asthma. Nocturnal asthma involves worsening symptoms in the middle of the night, primarily because of the naturally-occurring nightly dip in your body’s adrenaline and cortisol levels. Occupational asthma is uncommon but may be caused by exposure to chemicals, animal proteins and other substances at your workplace. The exact cause of the lung abnormality is not known. Scientists have discovered that the disease is a unique type of inflammation of the airways which contracts the airway muscle and causes the inside of the airway to become inflamed and swollen.. The airways become overly responsive to environmental triggers resulting in coughing or wheezing. Asthma can sometimes be difficult to diagnose because it resembles other respiratory problems such as bronchitis, lower respiratory infections, and emphysema. This means asthma is often under-diagnosed and many people are untreated. To diagnose asthma, our asthma specialists will ask about your medical history, perform a thorough physical examination, and may conduct certain laboratory tests, including blood and allergy tests. Symptoms of an asthma attack may include coughing, wheezing, trouble breathing, and tightness in the chest. During an attack, your body’s airways become smaller and make it difficult for air to move through your lungs. Mucous created by your body clogs the airways and less air gets in and out. Your doctor can work with you to develop a personalized treatment plan based on your asthma symptoms and triggers. You may be prescribed certain medications to help prevent and treat symptoms. Quick-relief medications are used to control the sudden symptoms of an asthma attack. If you find yourself using these medications more often, visit your doctor to see if you need a change in mediation. Long-term control medications help you experience fewer attacks, but they don’t help during an asthma attack. Unfortunately, there is no cure for asthma, but it can be controlled with proper treatment. By following your treatment plan, taking your medication, improving your health, and monitoring symptoms, you can better manage your asthma and prevent serious attacks. Asthma treatments aim to help you maintain a normal and healthy lifestyle. By taking your asthma medications as prescribed, avoiding triggers, and monitoring your symptoms, you can achieve the active and healthy lifestyle you want. If your asthma symptoms are preventing you from doing certain activities, speak with your doctor. A small change in your asthma treatment plan may provide relief during exercise. How can I prevent asthma flare-ups from occurring? Understand your type of asthma and triggers. Always have an inhaler with you and increase the use your bronchodilator with guidance from your allergy specialist. Keep follow-up appointments with your allergist as recommended. 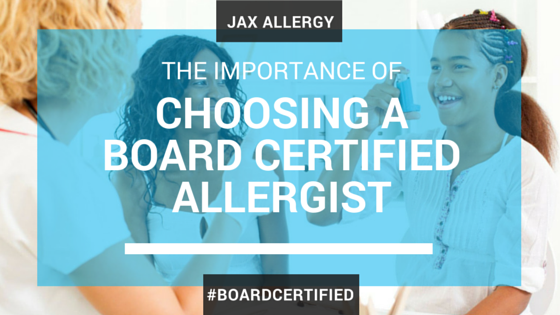 Know and understand what triggers your allergies and avoid exposures as much as possible. Never run out of medication. Avoid smoking or being exposed to cigarette smoke. Always keep emergency medication on hand at home and when traveling. Follow your doctor’s recommendations for prevention and treatment. Control other medical problems such as allergies, sinusitis, obesity, and heart disease, which can worsen asthma symptoms. Why do I need an asthma action plan? An asthma action plan helps you and those around you know how to manage asthma symptoms, including what to do when it becomes a serious emergency. Your doctor can help create a personalized action plan based on your diagnosis and triggers. A simple traffic light system using green for “go,” yellow for “caution,” and red for “stop – danger!” can be used. Green zone: When you’re breathing easy, not coughing, and doing all regular activities. Yellow zone: When you’re coughing, short of breath, wheezing, feeling tight in the chest, and waking up at night with breathing issues. Be sure to take your treatments plus anything recommended by your doctor. Red zone: This means danger and to call your doctor right away. If symptoms are severe, call 911 immediately. Symptoms include breathing hard and fast, trouble walking, and not talking well. Review your plan with your allergist every 6 months. If you are often in the yellow zone, be sure to take your medication right away and use your inhaler correctly. A higher dose may be needed to get your asthma under control. There is no cure, but with the right asthma treatment, your asthma symptoms can be managed, affording you a full, active and healthy lifestyle. For relief from your asthma, schedule an appointment at Allergy & Asthma Specialists of North Florida today. We have four convenient locations in the Jacksonville area: University Boulevard, Mandarin, Westside and Orange Park.